Have you ever wanted to start your own online business? As you navigate throughout this website, you will have noticed a little image on the right hand side saying “This little square can change your life today”. What is the square about? If you haven’t clicked on it already, you should! It really can change your life if you are at a crossroad in your working life. We have all, at one time or another, thought of starting a business. And with the boom of dot com businesses in the 90’s, we have often wondered if we too can get in on the action. And then everything went bust! But the problem with the 90’s is that online businesses then were built on ideas. And we all know that ideas come and go. Some are practical. Others are just too out of this world to be implemented. Today, we say build your business on passion … and global buying needs. The process, in actuality, is quite simple. Do you have a passion? A hobby? A habit? Are there any products that you have to purchase to feed that passion? I like rugby union. I bore my family and friends to death talking about the game. I would save up to attend an event on the other side of the world whenever I can. So instead of boring just my family and friends, I find me a bigger audience to rave to: the world! So here I am with this website. I blog on it about any topic that takes my fancy relating to my passion, rugby union. I love reading the biographies of coaches and players. I love to share the YouTube videos of inspired games that still thrills me years after the players themselves have retired. And for each webpage I create to share my passion, there is ad space. The ads are run by an affiliate network that reads my content and then tries to serve up ads related to that content. But Of course I earn a little from these ads. They are part of what is funding my need to rave about my passion to the world. I write snippets and full reviews on books. And anyone who buys from those links earns me a little commission. 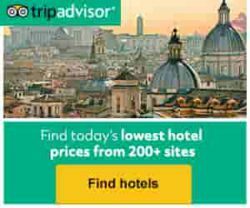 You see the travel ads down the bottom of this page (Booking.com, Tripadvisor and JustYou.co.uk)? I get a share of the bookings made from those as well. That’s another revenue stream for my online business. You see that little square on the right hand side? That little square made all this happen. And yes, I make a little from that little square as well. It is a link to the Wealthy Affiliate program. A program that gives you the tools and the know-how to start your own online business. But more than this, it gives you the opportunity to pick the brains of those who have succeeded in starting their own business online. It takes time. It takes commitment. But first, it takes ACTION. To start your own online business, think of all the interests you have. Then think of what you would call your website if you were to create a website business. I came up with “forward and back” because they are rugby union positions and they can also be a play on words in looking at the future of the game and the learning thrills of the past. I also used to play in the forward position. When I first came across this, I did not have a business name in mind. But I wanted to check it out nonetheless. So I just entered in “what business is that of yours?“. Before I knew it, it took me to a page to start building my website. There was a free option. So I chose that. Fast forward to today, I now have a proper website: forwardandback.com. But I also have a rather ghostly website out there called “what business is that of yours?“. I got a shock one day when Wealthy Affiliate sent me a congratulations email saying my “what business is that of yours” website has been indexed by Google. I’ve got to do something about that at some point. But here you have it. An online business started. An online business growing. With the tools readily made available by Wealthy Affiliate, it is that easy to create a website business with ease. You can start your own online business directly here. Want to learn more about starting your own small business? Meet you inside! If you have any questions on how to create a website business, pose them in the comment box below. I’ll try to address them as fully as I can. By the way, when you have created your website, come back to this page and post the URL of your new website in the comments box. It will help with your SEO, I promise! And if you don’t know what I mean by SEO, you really need to sign up. Join me on this journey and let’s see where it takes us. Great Article. I used to play that other game where the Lock is No.8. I enjoyed the read. I use WA. Some of my articles are Ok, others are crap. depends on my mood and outside interference. But you seem to have struck the right here. Thanks! 🙂 … I know what you mean about articles … some days the muse is with us … others, she’s gone fishing! It is very important that people do not join Wealthy Affiliate looking for a ‘get rich quick’ scheme (like the scams mentioned here). Wealthy Affiliate is about equipping you with the necessary tools and skills to start your own online business. Like our Online Entrepreneur Certification course. Let’s face it. If starting an online business was as easy as the ‘get rich quick’ schemes claim, everyone would be billionaires. But no. Starting up a business online takes commitment, dedication and ambition. If you do not have these, then what you’re looking for is a lottery ticket. But by doing it through Wealthy Affiliate, the process is made easy for you. Almost a ‘paint-by-numbers’ process. And there are endless opportunities out there for everyone to start a profitable business in their chosen niche. And you are assured of success with Wealthy Affiliate if you take full advantage of what it has to offer. Why? Because not only does Wealthy Affiliate give you the necessary tools, skills and templates to succeed, it also gives you a whole community of like-minded business owners to network with. A community with proven money-earners. You can see examples of some of them here: Real people making realistic earnings with their online businesses – through Wealthy Affiliate. It does not take much to get started in Wealthy Affiliate and build an online business. In fact, you can join as a free member. When you say assistance with ranking, do you mean on the search engines? Wealthy Affiliates has the best tutorials that should get your SEO skills up and running. If you haven’t completed the Online Entrepreneur Certification yet (available to all members including free members), you really should. Especially the basics covered here: Getting Your Site Ready for Search Engines. – there is live help 24/7. If you have a specific question, just post it there and you will get a response fast. – we have one of the biggest knowledge base on the internet, to start your own online business. On any page within WA, there is a search bar at the top. You just have to type in a search term within WA and you will be presented with articles related to your query. You will also see members’ comments below the articles who may have had the same query as you and have since found the solution. You can reach out to them for live help also. – you can approach any member that you meet inside WA with any query you have; especially those in your network. There are no stupid questions. But you do not have to have anyone in mind to ask a question. Just type your question into the Wealthy Affiliate search box and it will ask you whether you want the community to answer your question. You will get an answer very fast. – don’t forget to reach out to your referrer. He or she would be more than happy to help you succeed. I of course am also happy to assist you where I can but you need to be more specific so that I know how to help. Hi! I’m the proud user of siterubix and wordpress trying to become an entrepreneur and I think to start with siterubix is awesome as hell. 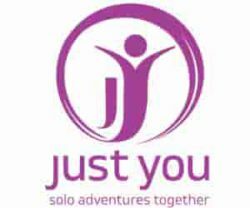 I also went for my passion and I’m giving all my best to make my passion into my full time business. Even if your passion may not be as profitable as other niches, you can make it a really profitable niche, just dive into it. That’s the spirit! The true spirit of an entrepreneur. Not afraid of the challenge and able to turn a profit in any niche. You are really making it difficult, verging nee impossible, to turn down your invitation to click on that little square! As a fellow part time blogger, and fellow affiliate marketer, I couldn’t agree with you more: it does take time to make a solid income from your online business, but once your name becomes affirmed on the many online platforms, then you are in for success. Real success! And then, which business on earth does not take time to become a successful entrepreneurship?!?!?! I suggest YOU start a blog on fencing. YOU take pictures of him fencing. And pictures of him raving about it. You can blur his face if you do not want him too riled when he sees it. But once the site is up and running, you may have seduced him into taking it over. After all, he would have the whole world to talk to about his passion! Your write up is simple and down to earth. I recently joined the site you mentioned (WA) it’s an amazing platform , though I’m still undergoing training but I’m yet to create my website. I keep wondering what name to give it, other times I feel maybe I’m not so passionate enough about something I can put out there with enough content to keep my site going. For this reasons I’m yet to take action. Can you give me any tip on what to do to pin point a niche for myself? Assuming I go for anything I’m slightly interested in, will I be able to get affiliate networks to advertise on my site? You’ll definitely be able to get affiliate networks to advertise on your website, as long as you have quality content. In picking a niche, think of something that interests you, day in day out. It really doesn’t matter as long as it is something you have a lot to say about it. If, for example, all you’re interested in is shopping, then you’ll have fun blogging on the various different products sold online. I know someone who thought they had no hobby but was mildly amused by the existence of ugg boots. So he challenged himself to see if he could write a review about ugg boots. First, he researched to see how the name came about. And then he googled for stores selling them online. He read their product descriptions. Next thing he knew, he was amusing himself so much with his research that he wrote up three articles: i) the history behind ugg boots ii) what makes a great ugg boot iii) the funny ways people are sporting ugg boots. When he had exhausted ugg boots, he looked around for another product that amused him. And did the same thing all over again. You can start your own online business like this. But my biggest advice to you is to make sure you complete the Online Entrepreneur Certification course. Even without a niche, make sure you do the tasks set by Kyle. I did not find my niche until I had completed my lessons. Good luck … don’t hesitate to reach out if you have any further questions … we’re all just a few fingertip clicks away. And come back here to post your new website URL when you’re up and running! This article represents excellent post about start a online business with lot’s of helpful tips. I am going to make a website soon. Recently I have joined as a premium member in Wealthy Affiliate and learning every things I need. It is only three weeks, I am in that site and I found lot’s of tips which you mention here. I am going to bookmark your site and later I will comeback to post my website links here. I like your idea about ad placing and other content presentation in this site. Thanks for sharing this with us. You’re welcome, mate. And I look forward to seeing your website link below. I will definitely click on it to check out your website. That’s the beauty of joining an online community like Wealthy Affiliate. The power of the community is behind you in the building of your business. Starting an online business isn’t so hard actually, what is hard is finding the right platform, you have many sites which claims to be the best and then to be turning out to be scam ones. In my opinion, Wealthy Affiliate is the best, they guide you through everything, I’m a member for a long while now, and because of them I have success online. I suggest you try the same! I believe I have by writing this post! 🙂 … thanks for visiting.